You would have made $9,230 if you had followed each of Marc David‘s 18 MLB picks with $1,000 per game last week. 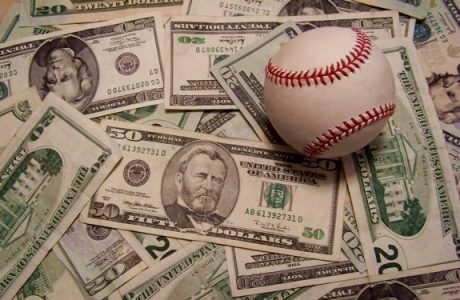 He’s the hottest baseball handicapper on the planet over the last seven days; Get every single MLB play from now until the last game of the World Series for one low price of $275. You can find the subscription at Marc David’s Handicapper Page and scroll down to MLB subscriptions. Larry Ness is our top MLB handicapper over the past 30 days with a 57-34 record for $15,260 in profits. Can’t decide which “fan favorite” MLB package of Larry’s to pick up on Monday night?! Don’t even bother deciding, just get all three in this awesome 3-game report! You get his: Situational Stunner (Huge 66-29, 69%! ); also his Las Vegas Insider (Solid 64-42, 60%! ); and it’s rounded out with his 10* PERFECT STORM (5-1, 86% RUN!). Any takers?! For long-term profits, no one is better than our #1 MLB handiapper for the year, TJ Pemberton. $1,000/game betting clients of him have booked a profit of more than $50,000 this year! TJ has one big play for Monday, a 10* Inter-League ‘Total’ of the Month! Sign up for a subscription right here and start turning a profit right away.